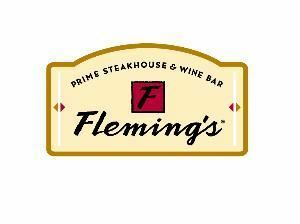 Since the first Fleming's Prime Steakhouse & Wine Bar opened in 1998, we've raised the standard of excellence for steakhouses to a whole new level, winning awards all over the country for outstanding food, wine and service. Our goal is to provide ongoing celebration of exceptional food and wine, in the company of friends and family. We think you'll find the atmosphere inviting, the spirit generous and joyful, and the overall experience one you won't soon forget. Adjacent to our main dining area at Fleming's, you'll find private dining rooms where important occasions become the most memorable of times. These rooms accommodate small or large groups and can be reconfigured for your meeting and dining needs. Whether it's a business event, a private party or a family gathering, we'll work with you to make the occasion exactly as you envision it, down to the last detail. You can choose from one of the three set dinner menus below-"Chardonnay," "Zinfandel" and "Merlot"- or work with our private party experts to customize your own menu, either for a full dinner, or wine-tasting party with hors d'oeuvres. We'll take care of all the arrangements. You just walk in and enjoy. Custom Wine Tasting — Design your own wine tasting party with the help of our expert private party planners. From a simple tasting, to a cocktail party featuring hors d'oeuvres paired with particular wines, to a dinner party with a different wine for each course. Whatever you envision, we'll work with you to ensure it's a memorable time for you and your guests. Fleming’s Prime Steakhouse & Wine Bar is the ultimate steakhouse destination for people seeking a stylish, lively and contemporary dining experience. Renowned for its superb prime beef, Fleming’s is equally famous for its unparalleled wine selection, which features 100 wines by-the-glass every night. Founded on the premise that a steakhouse should be the affordable domain of business men and women as well as pleasure diners, Fleming’s Prime Steakhouse & Wine Bar is known for its warm and inviting ambiance, and its gracious and knowledgeable yet unobtrusive service. Our goal is to provide ongoing celebration of exceptional food and wine, in the company of friends and family. We think you'll find the atmosphere inviting, the spirit generous and joyful, and the overall experience one you won't soon forget. Whether it's a business event, a private party or a family gathering, we'll work with you to make the occasion exactly as you envision it, down to the last detail. Atmosphere/Decor: The ambiance is an open dining room built around an exhibition kitchen & bar. Features lighter woods with cherry accents, high ceilings, & leather upholstery. Custom alabaster chandeliers complement the scene with a warm glow throughout the restaurant. Special Features: Wine Spectator recently honored Fleming's with 37 Awards of Excellence.